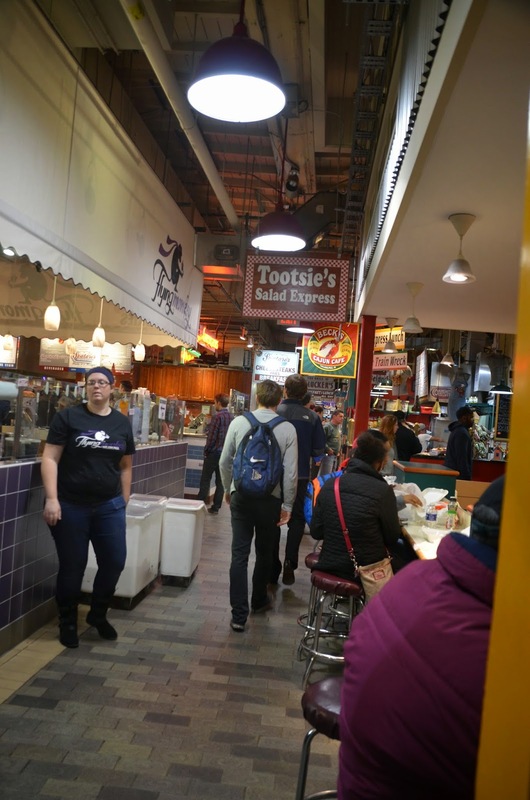 READING TERMINAL MARKET The Reading Terminal Market is filled with homemade food, shops and PEOPLE! It's always crowded. It's always good. Does every major city have a Chinatown? The name says it all. This store is unique and filled with a lot of *ahem* 'toys'. 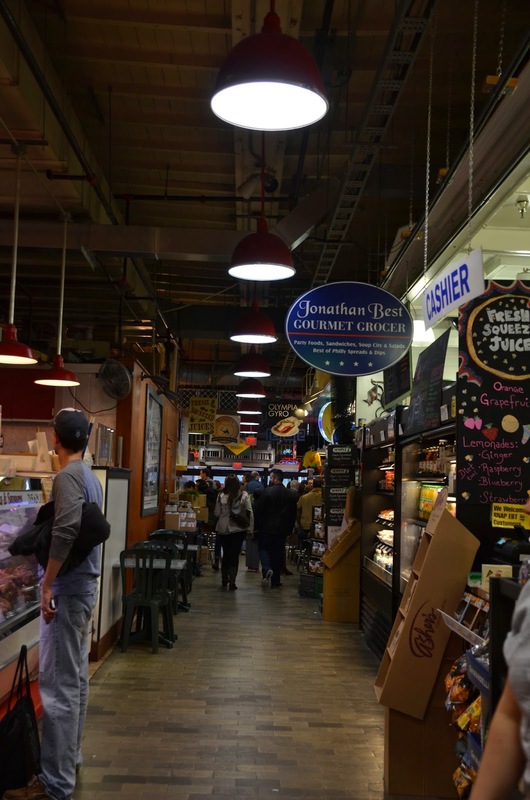 South Street is known for the party crowd on Friday and Saturday nights. You can see New Jersey from the port. In the 19th century, the city expanded westward and the area lost its appeal. Houses deteriorated, and by the 1940s, Society Hill had become a slum neighborhood, one of the worst in the city. In the 1950s, the city, state and federal governments began one of the first urban renewal programs aimed at the preservation of historic buildings. 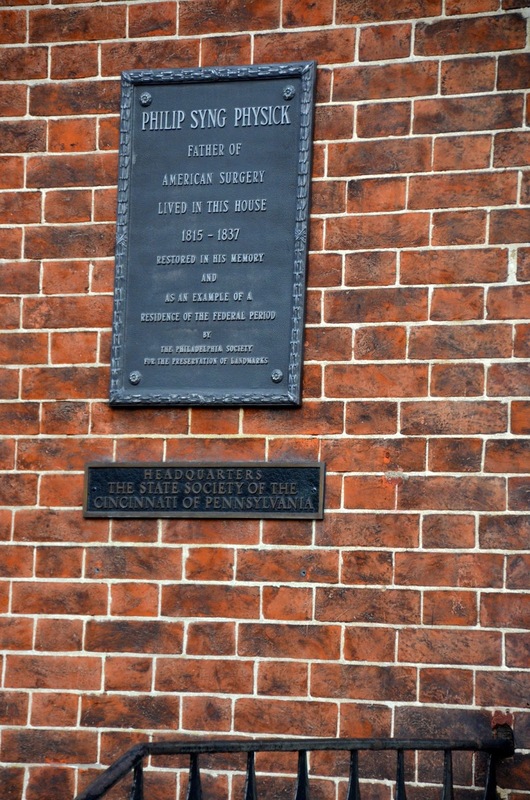 While most commercial 19th-century buildings were demolished, historically-significant houses were restored by occupants or taken over by the Philadelphia Redevelopment Authority and sold to individuals who agreed to restore the exteriors. In 1807 Dr. Philip Syng Physick, "Father of American Surgery," introduced artificial carbonated water for the relief of gastric disorders to America. Following Dr. Physick's instructions, pharmacist Townsend Speakman supplied his patients with a glass of soda each day at a cost of $1.50 per month. Following the doctor's instructions, fruit syrup was added to improve taste and thus the American soda was born in Philadelphia. Virginia Congressman James Madison. 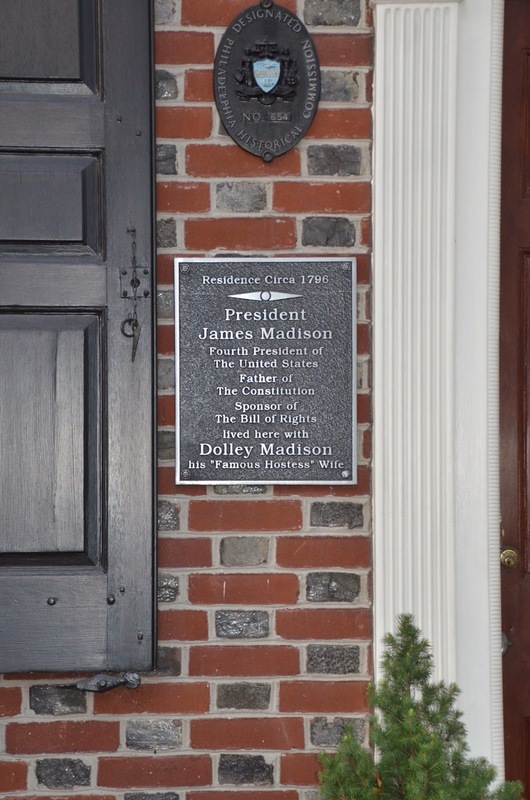 Dolley and James remained in Philadelphia at his house at 429 Spruce Street until he retired from Congress in 1797. In Washington Square Park you will find The Tomb of the Unknown Revolutionary War Soldier. This was our first Thanksgiving with Maggie. 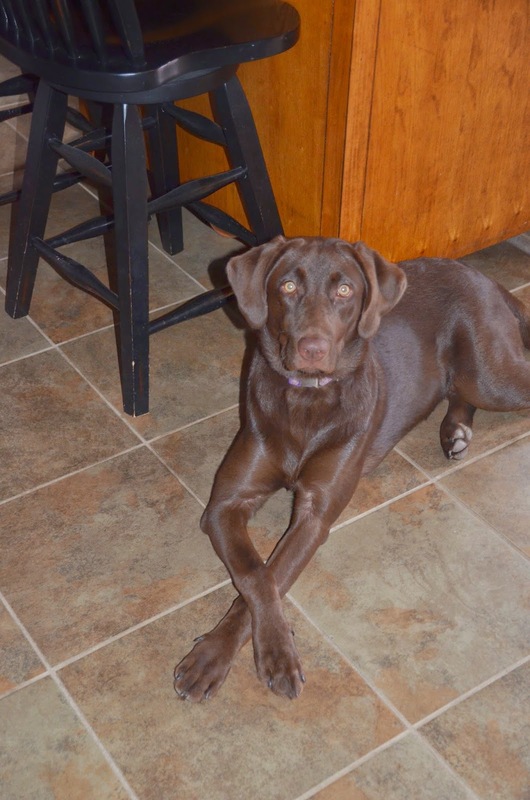 She patiently waited for someone, anyone, to drop some turkey. using a knife instead of an electric knife. It's fair to say, he carved almost every ounce of turkey. Our Thanksgiving traditions include Todd and his brother, Chad attending the OJR high school football game. OJR is the high school they graduated from and the team Chad played for. We eat our meal around 1pm. I make a bread stuffing that my Poppop taught me how to make. He passed away 7 years ago, but I can still hear his voice telling which ingredients to use. Everyone else helps out by bringing more delicious casseroles, veggies and dessert. The day is wrapped up by watching NFL football. This year is was the Philadelphia Eagles vs. the Dallas Cowboys. Considering we live close to Philly, almost everyone is an Eagles fan... everyone expect Todd. He is a Cowboys fan. He is also tormented by every family member. Especially when the Eagles beat the Cowboys. 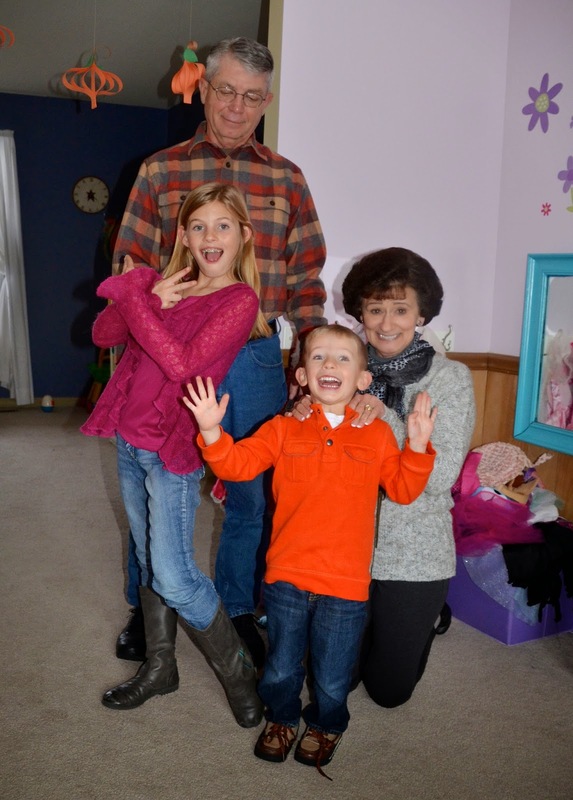 I am especially thankful for my family! Zachary wasn't able to come home from college for Thanksgiving. I'm excited to see him at Christmas! Todd and me along with our friends, Heather and Chad. My brother-in-law and sister-in-law. Also Chad and Heather. Yes, I think it's strangely humorous. Heather's parents also joined us, along with their children Max, Morgan and Tyce. Morgan declined having her picture taken. She's moody like that and is only in second grade! Where the Declaration of Independence was adopted, the Constitution of the United States was debated, drafted and signed. 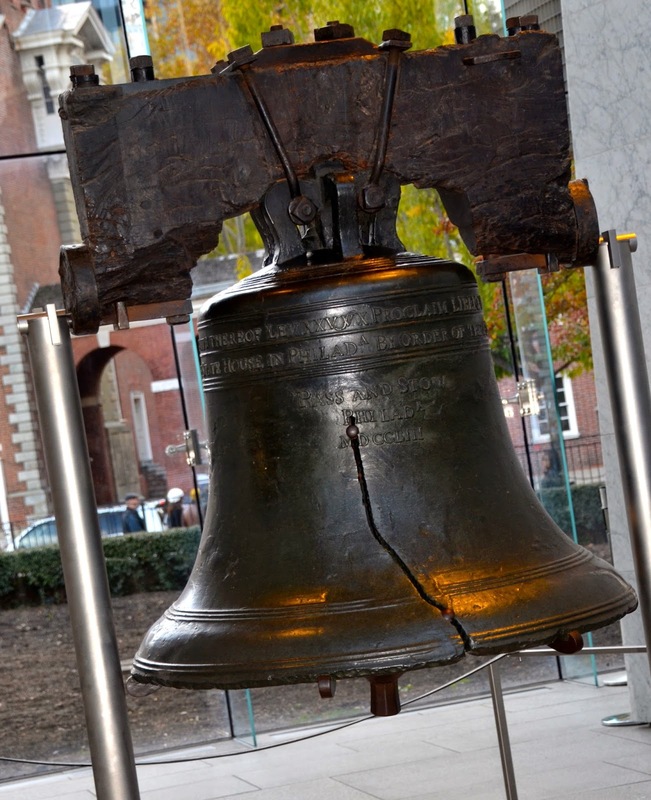 The Liberty Bell was originally call the State House Bell. Abolitionist changed the name to The Liberty Bell during the unit-slavery movement. "By Order of the Assembly of the Province of Pensylvania for the State House in Philada." Pennsylvania was misspelled on the bell, in fact it was also misspelled on the original version of the Constitution. 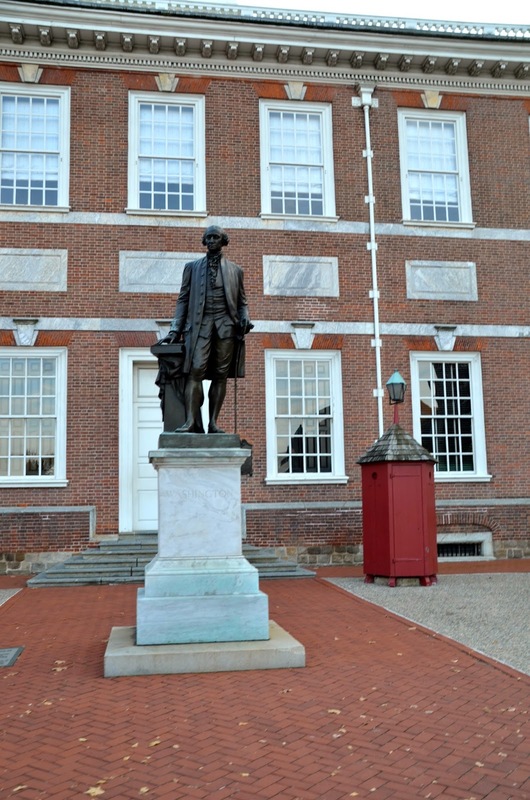 We took our British guests on a tour through Independence Hall neighborhoods. Especially knowing the buildings were built in the 1700's and are still standing today.